Read more: Holy Land or Israel? 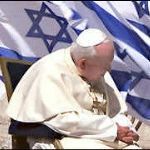 Read more: Why Catholics for Israel? Read more: What Do We Mean by "Catholics for Israel"?